Crowdsourced fundraising like GoFundMe puts uncomfortable questions into the hands of the giver: Who merits a donation, and how much? Amanda Richer turned on the video camera of her cracked, old Samsung and started sharing. 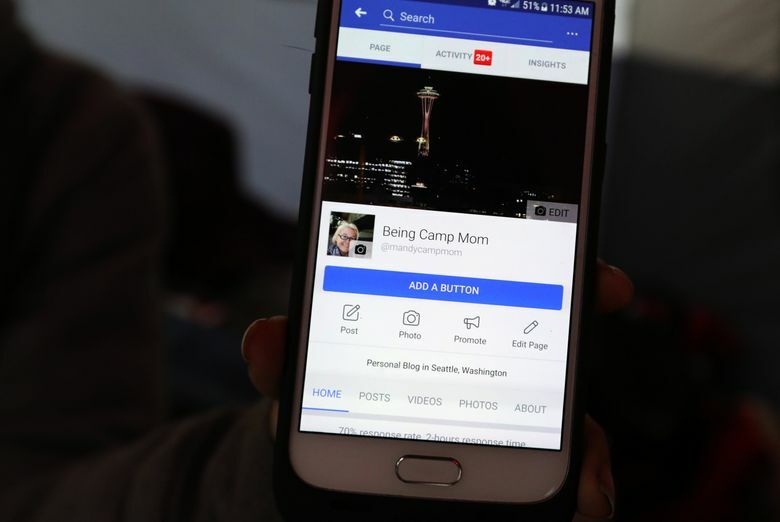 It was September, and Richer, streaming on Facebook Live, talked about living on the outer reaches of The Jungle, Seattle’s infamous homeless camp, since last February; about her struggles with thoughts of suicide, brought on by repeated brain injuries; and about living in a tent under an onramp, where the water was too cold to wash her hair. She had streamed live videos before, but this one struck a chord. Mark Horvath, a nationally known blogger on homelessness, reached out and filmed a video of Richer that now has over 355,000 views on YouTube and more than 3 million on Facebook. Hanes, the clothing corporation, featured Richer for their annual sock drive and gave her a new phone and data plan to document her life. Richer’s Facebook page has more than 20,000 fans, and her live videos about her life are regularly seen by thousands. With Horvath’s encouragement, Richer started a campaign on GoFundMe, a crowdfunding website. Donations poured in. She blew by her goal of $5,000 and has now raised nearly $22,000. Two months later, she is still receiving donations by the day, and her life has taken a turn for the better. But for every successful campaign like Richer’s, there are other pleas that go unanswered. Seattle is littered with them. A transgender teen who said he was kicked out by abusive parents raised $60 in five months. A volunteer trying to raise $2,500 for tarps for homeless camps got $715 in two months. A physical therapist in Seattle set an ambitious $100,000 campaign called “Wheelchairs for Homeless”; it raised nothing in a month. Crowdsourced fundraising like GoFundMe puts uncomfortable questions into the hands of the giver: Who is worthy of help, and how much? Research suggests reaching a fundraising goal depends on how efficient people are at marketing their plight. Fundraising consultants are concerned crowdfunding sites could take away from charitable giving. Most crowdfunding sites are for-profit. GoFundMe takes 2.9 percent as a payment-processing fee, plus 30 cents per donation. After the terrorist attack at an Ariana Grande concert in England in 2017, two homeless men were hailed as heroes when the Guardian reported they rushed in to help. But more than $150,000 raised online never reached the men. One couldn’t be found. The other was caught on-camera stealing from victims of the bombing; donations to him were refunded to donors. 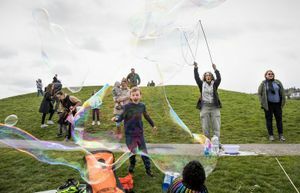 Dr. Jeremy Snyder, who studies moral obligations toward vulnerable populations at Simon Fraser University in British Columbia, argues that crowdfunding is actually a symptom of, not a solution to, an unjust society. “You’re essentially applying a Band-Aid solution without addressing the underlying causes of homelessness,” Snyder said. Snyder encourages people who want to practice more equitable funding to use nonprofit crowdfunding apps like Watsi. Local nonprofit Facing Homelessness has started using Classy, which allows donors to pay the processing fee if they want to; the nonprofit’s managing director, Sara Vander Zanden, said that around 80 percent of donors opt to pay that. On GoFundMe, marketing can be everything. The site has a “Fundraiser Tool Kit” with articles, written by “Happiness Agents” and “Success Specialists,” offering suggestions: Colorful photos liven up the layout. Come up with an effective sharing strategy to maximize support. Be specific with wish-list items. Add bold headlines to each paragraph, so the story is “a breeze” for supporters to read. Chris Kerr, a payroll manager at a dialysis center in Federal Way, started a GoFundMe in October for her employee, who lost a rental home in Puyallup when a water pipe broke, flooding the house. The cleanup exposed mold and asbestos, Kerr said, and the family — a single mom with four kids — was ordered to vacate. Kerr’s GoFundMe page didn’t include a photo of the woman or her kids, or their names. The woman didn’t feel comfortable with it, and Kerr was afraid that because the woman was black, she would be stereotyped. The campaign raised less than a third of its goal — $1,435. But there were problems beyond money. The woman had bad credit, and getting a new apartment turned out to be a “huge challenge,” Kerr said. Instead, the family used the GoFundMe donations to move to South Carolina, where a landlord they knew offered a place to stay without a credit check. And while money does help, getting someone out of homelessness takes a lot more investment — that’s what Richer says when she is asked on Facebook how someone can help. Richer got out of the tent camp and into housing on Jan. 30, although she didn’t do it with donations. She got a federal housing voucher for an apartment in West Seattle. With unpaid student loans and medical bills, finding housing proved much harder for her than raising money. Richer said she’s saving most of the GoFundMe money to support herself now that she’s housed, so that she can go through vocational therapy and mental-health treatment. She signed up for disability payments, and is using the donations to live on for now. While nearly all the response has been positive, one local advocate asked Richer to close her campaign, saying the money she raised was more than one person, regardless of need, required to get back on her feet. The campaign is still active. And Richer still posts on Facebook. On Jan. 30, her move-in date, Richer turned on the phone’s camera to stream her and her dog Rowan’s first moments in her new place after living outside for more than a year.